-Toxic Heart by Theo Lawrence: I haven't actually read Mystic City, but it sounds good and I have no self control and bought the sequel anyway. 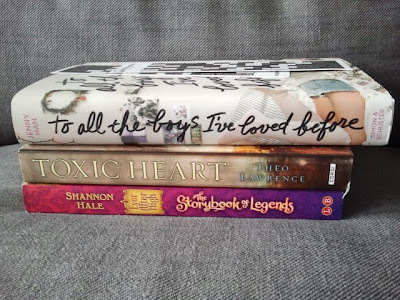 -The Storybook of Legends by Shannon Hale: it's about a boarding school filled with fairytale characters. OBVIOUSLY I needed to own this! -Half a King by Joe Abercrombie: EEEE! EXCITEMENT! 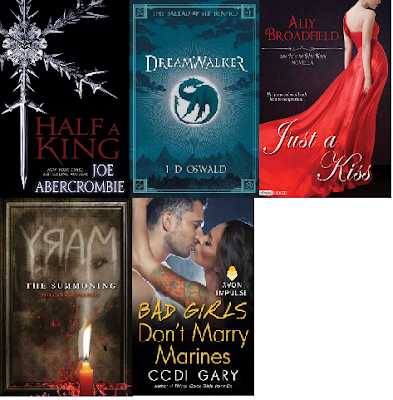 Joe Abercrombie's YA fantasy sounds AWESOME! -Dreamwalker by James Oswald: another fantasy, with DRAGONS! I love dragons! -Mary: The Summoning by Hillary Monahan: I'm fascinated by a story revolving around Bloody Mary, this sounds SO creepy! -Bad Girls Don't Marry Marines by Codi Gary: Good Girls Don't Date Rockstars was a really quick read and I enjoyed it, so I hope that'll go for this one as well! Is Shannon Hale the same one who wrote Austenland? I'm intrigued by a boarding school for fairytale characters! Yes! I really liked Austenland :) And Princess Academy! 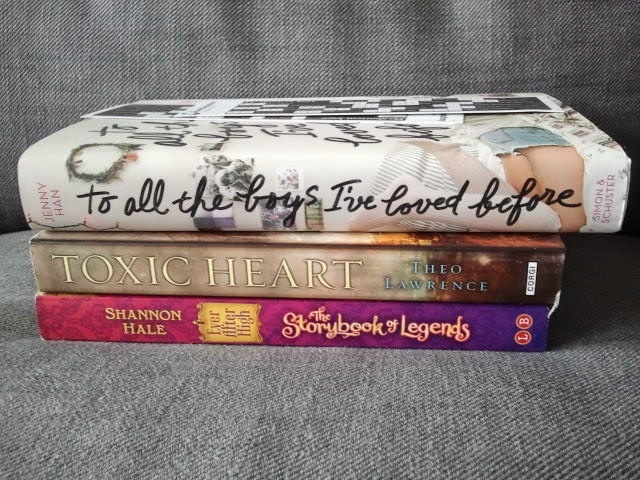 I love Shannon Hale, have you read "Book of a Thousand Days"? To All the Boys I've Loved Before sounds pretty good! I'm reading Half a King right now and it's so good!